"A real estate company is as successful as its agents. It's that simple!" 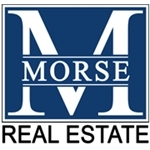 We are pleased you are considering a career in real estate sales, and appreciate your interest in Morse Real Estate. In order to continue our tradition of achievement, we promise to do our best to help you be a success! We want to provide you with comprehensive information to help you make the right choices as you begin your new career path. In the state of Nebraska, a real estate license candidate must be 19 years of age, have a high school diploma or GED, and be able to pass a criminal background check prior to taking the state exam. Each applicant must complete 60 hours of instruction, prior to taking the exam. In the state of Iowa, a candidate for a real estate license must be 18 years of age, have a high school diploma or GED, and be able to pass a criminal background check before taking the state exam. Each applicant must complete 60 hours of instruction prior to taking the test. An additional 36 hours of instruction must also be completed before issuance of the state license. There are a number of options available to complete the necessary educational requirements in order to take the real estate exam for Nebraska or Iowa. It is important as you consider your opportunities in real estate you are properly prepared to succeed from the start. Success requires more than just effort and good information. We believe your success will be built on business planning, mentoring and the professional relationship you develop with your Broker. All real estate companies are not alike. At Morse Real Estate we offer extensive training, mentoring, support staff, a business start-up kit, and technology training all with ZERO desk fees. For more information, contact us with your questions! If you are looking to make a change or just want to review what Morse Real Estate has to offer to improve your business, contact us. Our agents love our flexibility, support and training, mentoring, no fees and large commission splits - PLUS the transition got easier with a $300+ start-up kit upon sign up! Feel free to give Mike Morse a call for a confidential consultation.